Most children who attend The Salvation Army’s Los Angeles Day Care Center downtown don’t expect a big party and a pile of presents on their birthdays. The center serves low-income children, many with parents who spend long hours working nearby in the Fashion District. 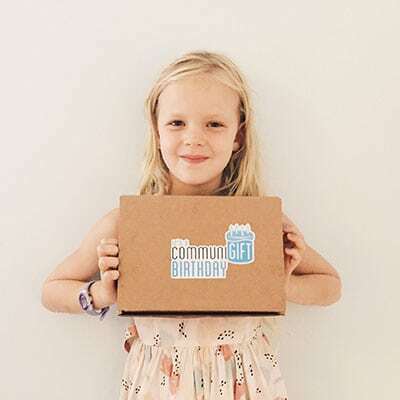 So, 4-year-old Henry was shocked and delighted to receive presents courtesy of a secret birthday buddy who decided to “gift forward” some birthday presents through an innovative new platform called CommuniGift. The program was created by a group of University of North Carolina at Chapel Hill students whose parents taught them from a young age the importance of helping those less fortunate. Co-founder Thomas Doochin recalls how his family delivered gifts to the homeless every Christmas morning, and the lasting impression that made. “At such a young age, I don’t know if I would have been able to comprehend need. But, as I stood there and handed out a pair of gloves, a jacket, a gift card for food, I could relate. I understood why that other kid was so excited to receive a new book,” he says. Now Doochin and the CommuniGift team are excited to make that experience accessible to other kids. 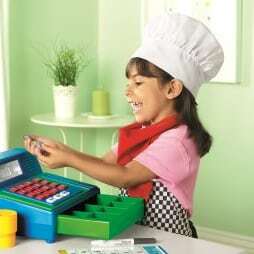 You can get your own child involved by visiting Daymaker.com when you plan his or her next birthday party. Your child will be able to find a child in need through a charitable organization such as The Salvation Army, Boys and Girls Club or Baby2Baby. The children’s identities are kept private, but each profile gives a short description of the child’s personality, hobbies and interests, as well as a wish list for items such as stuffed animals, books or backpacks. Birthday party hosts can send invitations through CommuniGift, giving their guests the opportunity to donate an item from the birthday buddy’s wish list when they RSVP. On the day of the party, all the guests receive “I gift back” wristbands and stickers to help them celebrate the joy of giving.